Behind The Stars: We recognize our legendary pianist Esbjörn Svensson just after his first touch. A very deep and sorrow murmuring of him is heard. Besides, we hear very deep bass effects beating on the background. Dan Berglund sometimes use his bow to accompany Esbjörn. This is a very soft beginning for the album. Considering to what we have listened in the first track, we can say that the ambience is similar to the Leucocyte but this album is much softer and calmer from all perspectives. The end is linked to the next song. Inner City, City Lights: The beginning is made by a sound like an openning window. The brushes of Magnus Öström play the drums over a single tone (signal-like) piano. We sometimes hear a transistor radio. The effect, to which I have called the openning window, is heard again between percussions. The double bass produces deep basses. Esbjörn starts to produce a distorted piano (he sometimes hold the pieces inside the piano again for a cold tone) A single tone of high frequency (probably produced from a double-bass played by bow) stays on the background. This background sound is the same with the one in last piece of Leucocyte Ad infinitum. This is certainly a link with the Leucocyte. There is a link with the name of this piece and one of Magnus' poems in the liner notes of E.S.T. Live in Hamburg. The Left Lane: This is a well known E.S.T. style piece. Trio simply gives the main theme in the entrance then starts to improvise by increasing the tension especially by drums. It is very meaningful that this song is here in that album. It carries lots of memories, having sounds spread over all the albums. As I have mentioned before, 301 is different from other albums for it is carrying all the history of E.S.T. It is linked to both Leucocyte and When Everyone Has Gone. I know these are last records of the group and if Esbjörn were alive they would probably release another album from another record but this last record has a real meaning to be the last one. E.S.T. calms down in this piece for the last three minutes. The last minute is a double-bass solo. The last twenty seconds is just composed of fading brush beats. Houston, the 5th: An electronic sound is dominant in the whole piece. This composition or performance has something to do with space or spacecrafts. This may be relevant with the fact that NASA is in Houston. We rarely hear a musical partition. Three Falling Free Part I: The end of the previous experimental electronic piece is linked to the piano solo at the entrance of this piece. The bass starts to accompany piano by long notes. Magnus Öström's percussion is granular and soft. We hear deep murmurings from Esbjörn Svensson. The trio starts to improvise after the third minute. 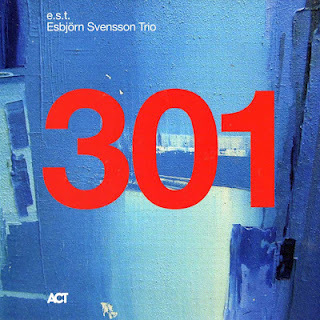 Three Falling Free Part II: Some beats of Magnus Öström is carried from the ending of the previous piece. This is a great solo entrance from our great drummer. He totally improvises with spontaneous movements and feelings. Listen to that partition carefully before the entrance of the piano, he is just awesome. The piano play some cold and inanimate notes here giving a little tension to the performance. One hand gives the tension by a fast partition while the other is playing a slow changing melody. The bass enters the stage with distortion like an electro-guitar. Then the body of the piece is developed. Now they can start to improvise. Listen to these great performance from beginning to end carefully. Near to the end we really feel like listening to metal music. Magnus Öström and Dan Berglund carry the song to some strange places for jazz again. Check that distortion of the bass. I have decided that they are crazy! The last notes feel like a free fall of a plane to the ground. The Childhood Dream: This is a wonderful and emotional ending to a great album. The melody carry you to your childhood. The bass and piano talk to each other very softly and intimately.